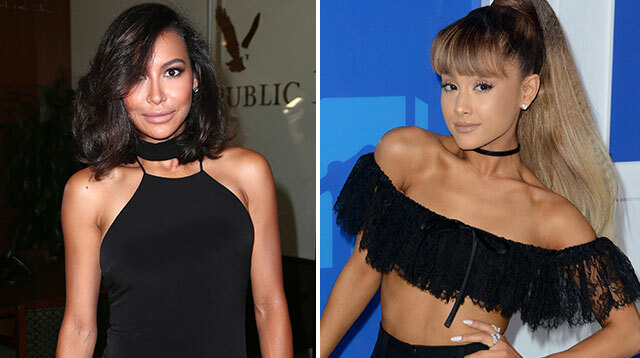 Actress Naya Rivera once found her then-fiancé Big Sean hanging out with Ariana Grande, who he would later date, at his home months before their split. The former Glee star was engaged to the rapper from October 2013 to April 2014 and months later he began dating Ariana, who he collaborated with on track “Best Mistake” from her 2014 album My Everything. Naya has revealed in her new book Sorry, Not Sorry: Dreams, Mistakes and Growing Up that after days of arguing, she went round to his house in Los Angeles and found him spending time with Ariana, who she doesn't directly name. Big Sean and Ariana later dated for eight months until April 2015. In her memoir, Naya reveals she found out her engagement to the rapper had been called off via the Internet, when his publicist issued a statement. "(I learned that) not only were we no longer getting married, but apparently we weren’t even together anymore," she wrote. Only three months after her split from Big Sean, Naya was married to actor Ryan Dorsey, who she had previously dated. Their son Josey was born in September 2015.